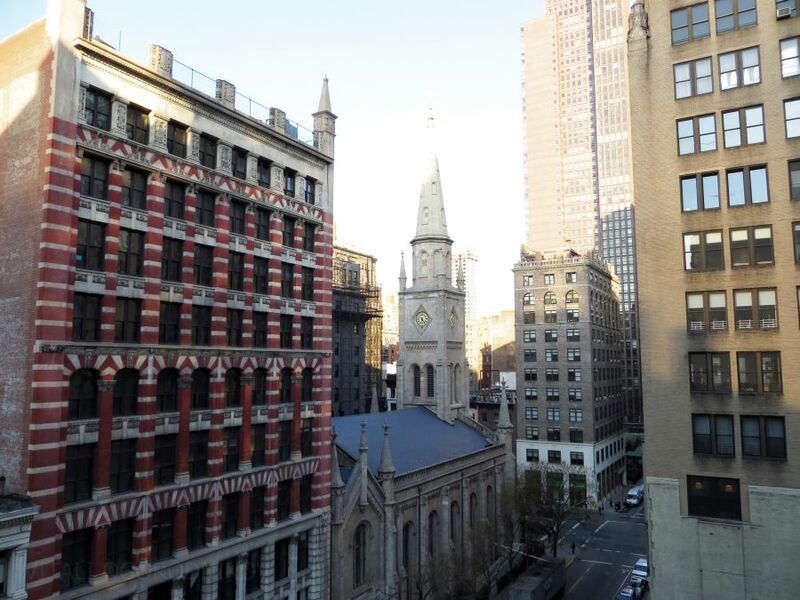 Since New York’s earliest days, church organizations have held a considerable amount of the city’s real estate, which they use not only for direct religious services, but also as a means of generating income. 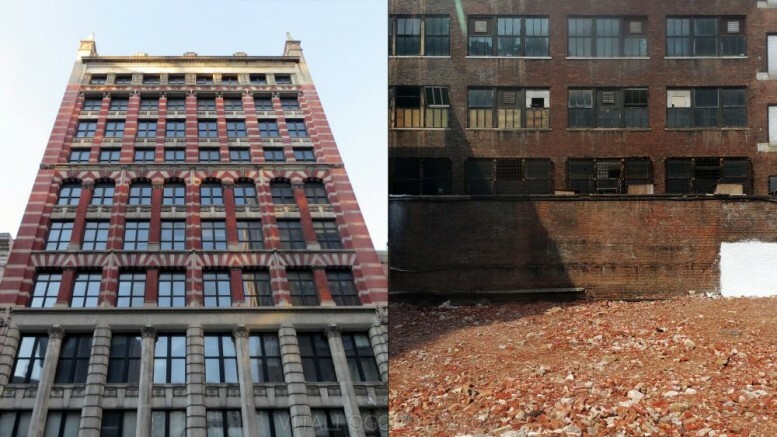 Over the past year, we witnessed the destruction of one of the oldest properties of the kind, as the 119 year old Bancroft Building has been reduced to a pile of red brick rubble. The building rose at 3 West 29th Street in 1896. The architect, Robert Henderson Robertson, took design cues from the neighboring Marble Collegiate Church on Fifth Avenue, a 1851 structure designed by Samuel A. Warner in Romanesque Revival style. For the 10-story tower, Henderson took Romanesque Revival in a more robust direction with a colonnaded limestone base, ornamented red and white brickwork body, and a limestone cornice bookended by twin spires at the corners, echoing the church spires next door. The office building quickly became popular with architectural tenants, to a point where in 1898, “Architecture and Building” claimed that “[the building] is about to become quite an architectural centre,” with the entire ninth floor leased by architects Marshall Babb, John E. Howe, Cook & Willard, Parish & Schroeder, and Henry Rutgers. 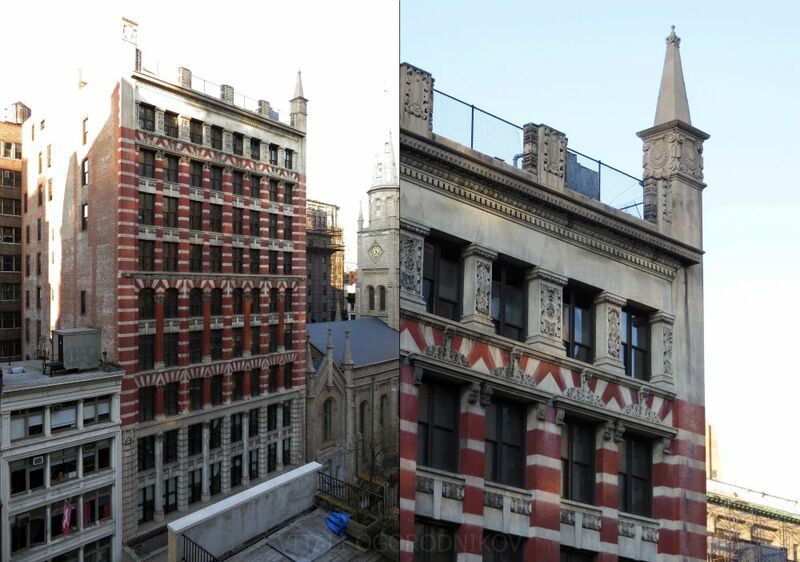 Other notable tenants included The Camera Club of New York, whose president Alfred Stieglitz has been described as “arguably the most important photographer of his time”; the Cassler Magazine publishing company; the Frank Presbrey advertising firm; and the YMCA offices at the top floor. The 21st century presented new challenges and opportunities. Churches in New York have fallen on hard times. 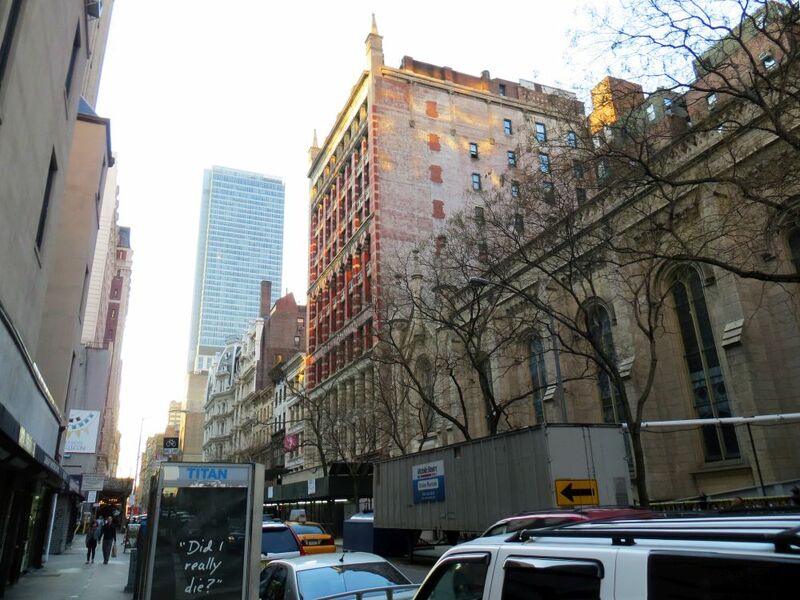 In the past year, dozens of Catholic parishes in the city and in neighboring counties were forced to close or merge in the biggest structural overhaul of New York Roman Catholic Archdioce’s history. 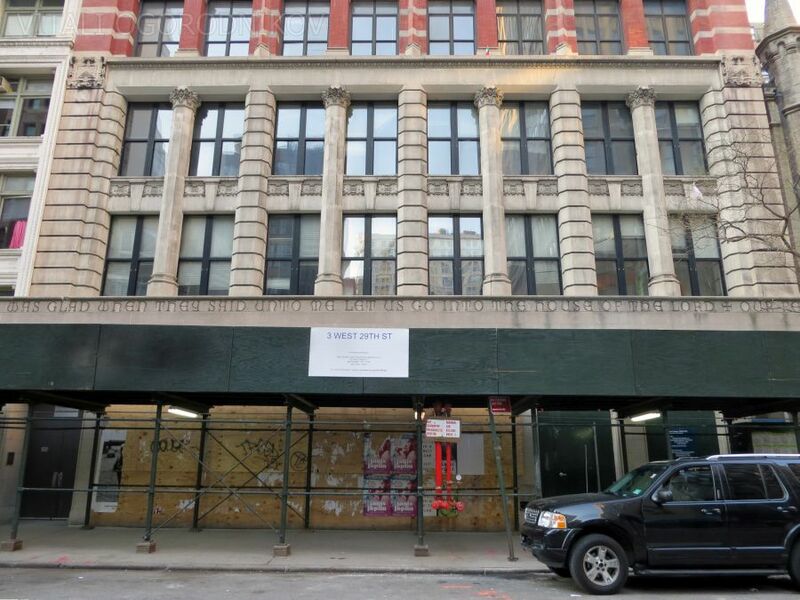 Meanwhile, the neighborhood is booming again under a rebranded moniker – NoMAD. 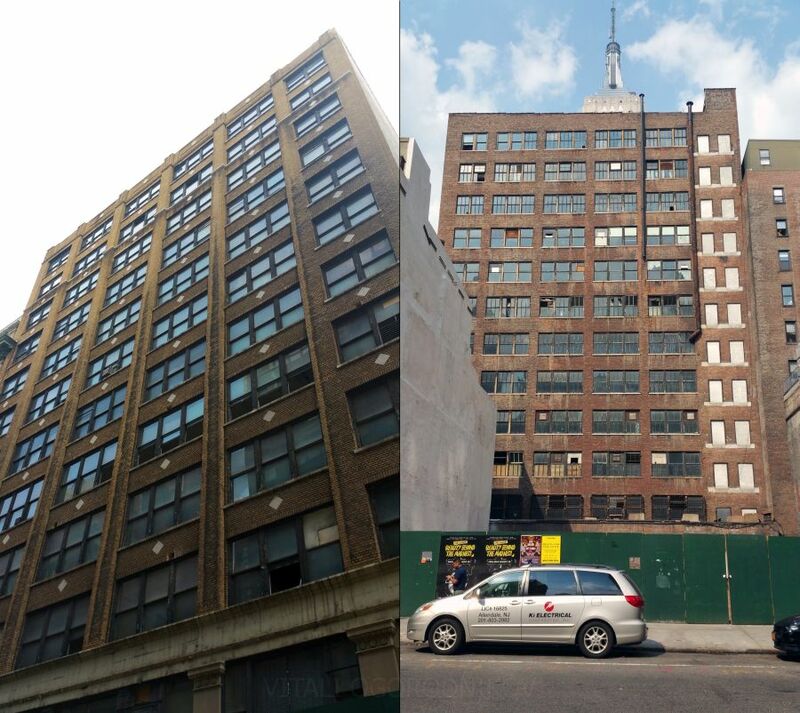 In October 2013, the building was sold to Ziel Feldman’s HFZ Capital and marked for demolition and redevelopment. 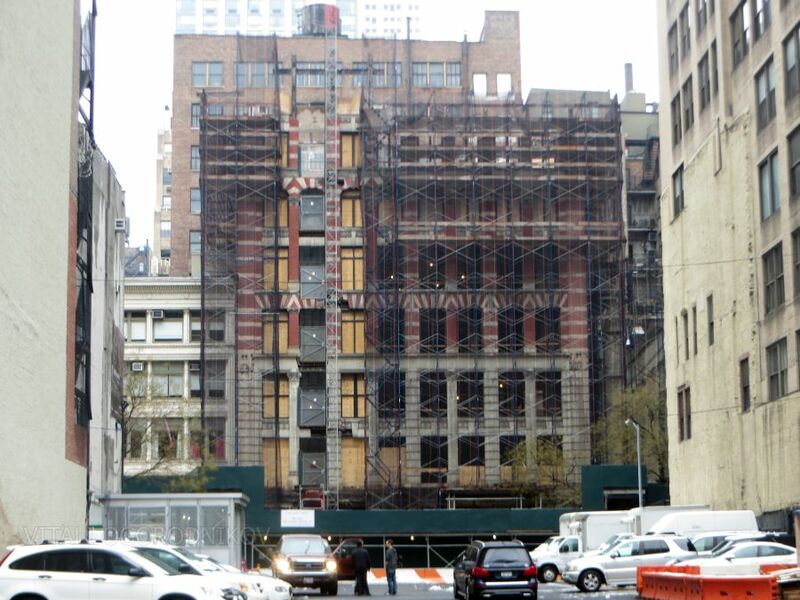 In June 2013, neighbors petitioned Community Board 5 and the Landmarks Preservation Commission to designate the Bancroft Building a city landmark, but the preservation efforts ultimately failed as dark green scaffolds rose around the building’s perimeter. After releasing a few preliminary designs, the developer announced plans for a 64-story, 800-foot-tall mixed-use tower designed by Moshe Safdie last month. The Bancroft site on 29th will become a public park, while the tower will replace 8-16 West 30th Street, a 12-story commercial building directly to the north. It’s jarring to see an architectural gem razed, but the park, framed by the the church to the east and a green wall to the west, will be a welcome addition to the dense neighborhood and a better public amenity than an average building would be otherwise. HFZ’s tower, with its staggered cantilevers spread across its facade, is a promising addition to the skyline as the tallest structure between Midtown South and TriBeCa. It “faces” another tower of similar proportions and with similar cantilevers at 56 Leonard Street. Still, we wish that the front façade of the old structure was preserved and incorporated into the new building, with the park moved to the northern portion of the site. The city is an evolving organism that should not be frozen in time and space. A careful balance of preservation and development ushers a brighter future by celebrating our past. 9 Comments on "The Death and Life of the Bancroft Building, 1896-2015"
It was still idiot, park or not. Damn. I didn’t even know about this. That was definitely one of the nicer old buildings in that neighborhood. It deserved better. I’m ok with this. The facade was nice, but that’s about it. 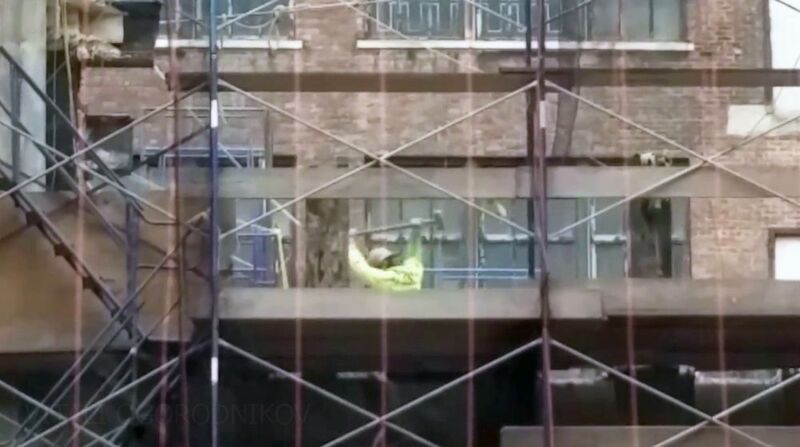 It was a big hulking building mid-block. Open space will be a welcome addition. For Manhattan, the neighborhood is already well situated with parks and open space, between the huge and lovely Madison Square Park three blocks to the south and the urban plazas at Herald Square (and the adjacent pedestrianized Broadway). This project will be as disruptive to the street wall as the now empty lot. 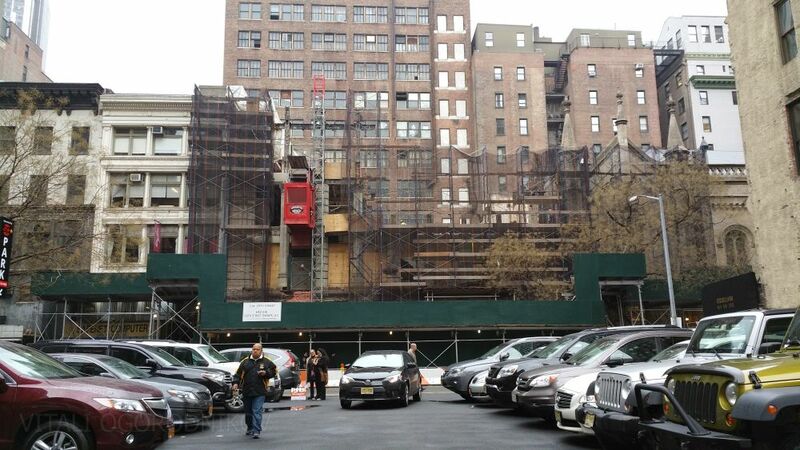 Just have a look at the sad “park” behind the Instrata Nomad (formerly the Madison Belvedere) on 28th. Jeff has it right. Why was this building torn down? 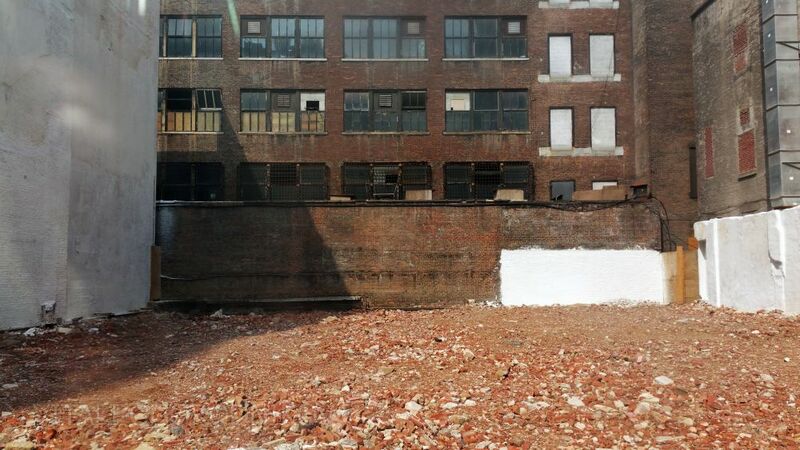 Can the parcel ever be built on again, or will it forever remain a vacant lot, er, “park”? Is the city encouraging this sort of vandalism? It cannot be any excuse for that. It happened before (where the old Penn station is? ), and, I afraid, will happen again. Unless we find the way to protect it. The first step, I believe, should be the information: people need to know PRIOR the action, not after that… So we could get a chance to protect and save the things.